Dr.Pooja Shah graduated BDS from M.G.M. Dental College & Hospital, Navi Mumbai and then went on to pursue her post graduation in Prosthodontics and Oral Implantology from the prestigious Sumandeep University, Vadodara. She is a member of Indian Prosthodontics Society and member of Indian Dental Association. She practices extensively into implants and full mouth rehabilitation. She has years of experience in smile designing and aesthetic dentistry. 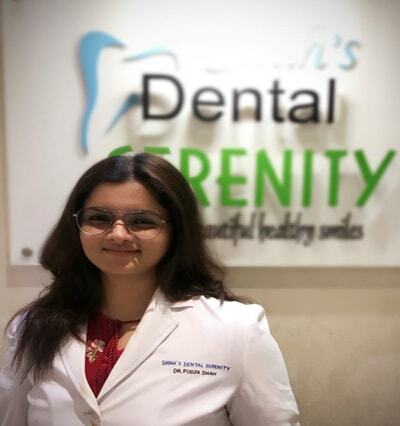 Her presence in Shah's Dental Serenity surely makes it as one of the best dental clinic in Mumbai.Her smile designing and full mouth rehabilitation cases have been widely published in national as well as international journals. She has presented papers at various national as well as international conferences. 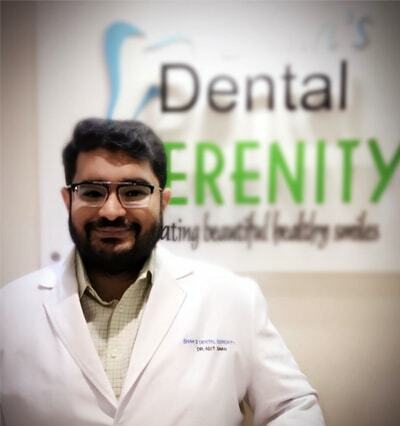 He is an Orthodontist with years of experience, after acquiring Bachelor’s Degree in Dental Surgery, he went on to pursue his Master’s in Orthodontics from Sumandeep University, Vadodara. He is a member of the prestigious Indian Orthodontic Society (IOS) and Asia Pacific Orthodontic Society (APOS). He is also a member of the Indian Dental Association (IDA), Mumbai branch. Apart from Metal braces which are conventional, he has worked extensively with self ligating and ceramic braces. He is surely one of the top dentists in Mumbai. He practices with all types of lingual and clear aligner systems. He specialises with Lingual CAD-CAM braces. He has many cases published in national as well as international dental journals. His cases have been featured in 'British Medical Journal-Case Reports'. He has presented papers at various scientific conferences and conventions. 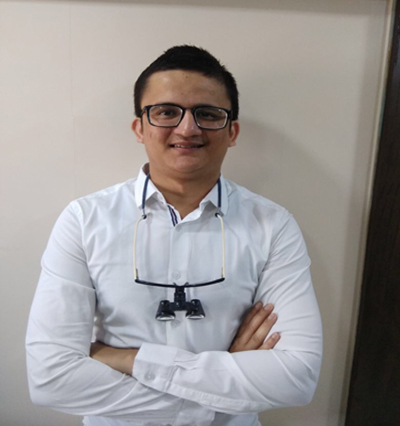 Dr. Prit Shah is an active Oral and Maxillofacial Surgeon and Advanced Implantologist He completed his post graduation in Oral and Maxillofacial surgery from SDM, Dharwad, Karnataka. His articles have been published in National and International journals. Dr. Prit Shah is also an Honorary Consultant at Bhatia Hospital, Tardeo (Mumbai). 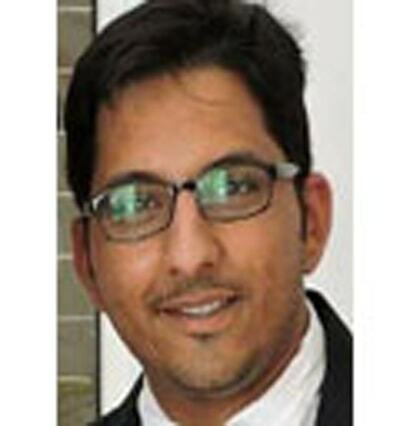 Dr Hitesh Malviya has a masters in endodontics and finished his post graduation from reputed institute Nair hospital dental college in the year 2014. He specialises in non surgical root canal therapy (NSRCT), retreatment AND surgical endodontics. M.D.S (Pediatric & Preventive Dentistry) from Terna Dental College & Hospital, Nerul. Consultant Pediatric & Preventive dentist at various renowned private dental clinics all over Mumbai. 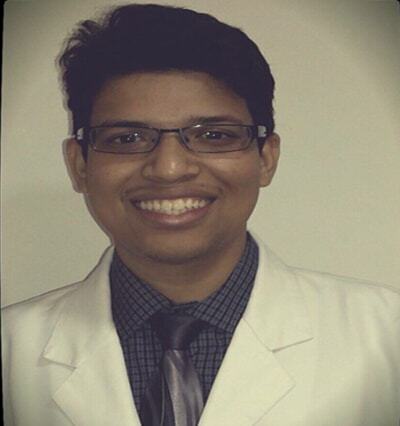 Dr. Bhavesh Rusawat is currently senior lecturer at Terna Dental College and Hospital,Nerul.